Euflora is a recreational dispensary located on the gorgeous and popular 16th Street pedestrian mall at the corner of 16th and Tremont. We are a collective of boutique marijuana dispensaries in Colorado. 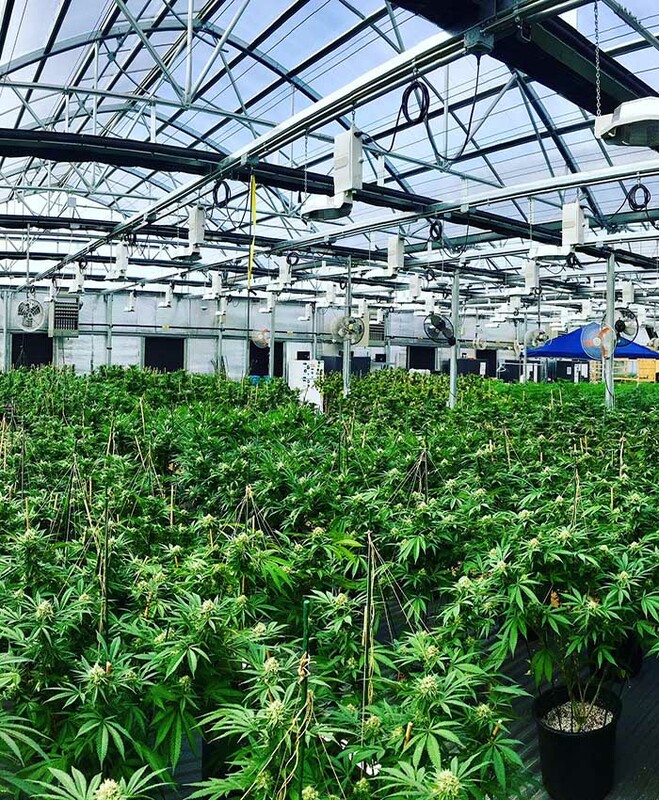 Greenhouse-grown craft cannabis, edibles and concentrates. 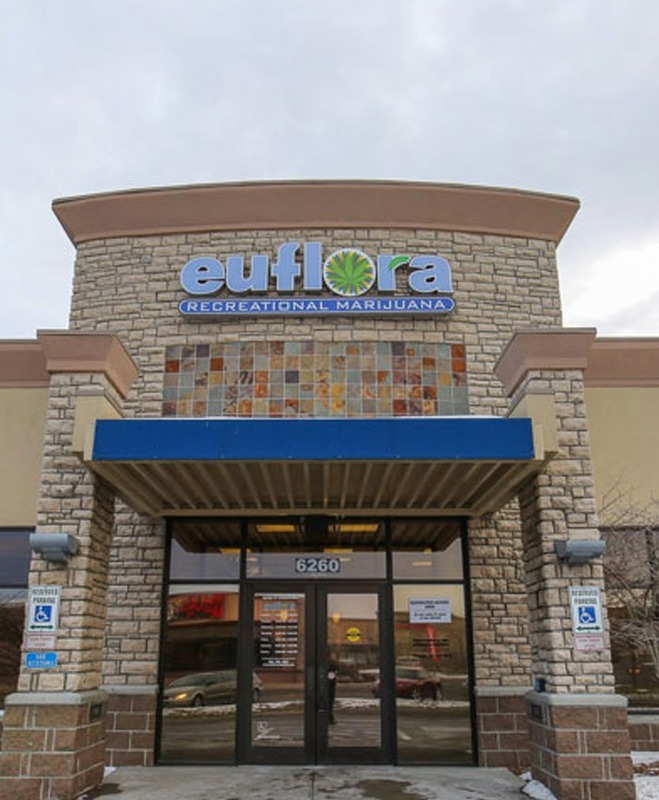 Euflora is one of Colorado’s premiere recreational cannabis dispensaries with 4 locations in Denver and Aurora, Colorado. 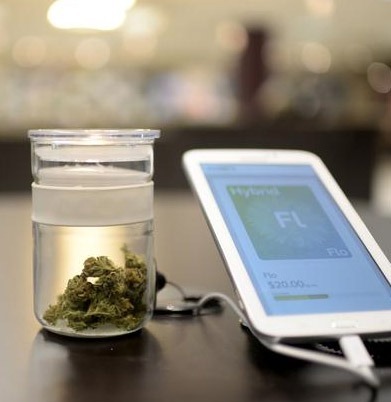 It is the goal of our knowledgeable and trained budtenders to offer each customer guidance in choosing the right strain or product to meet their needs. 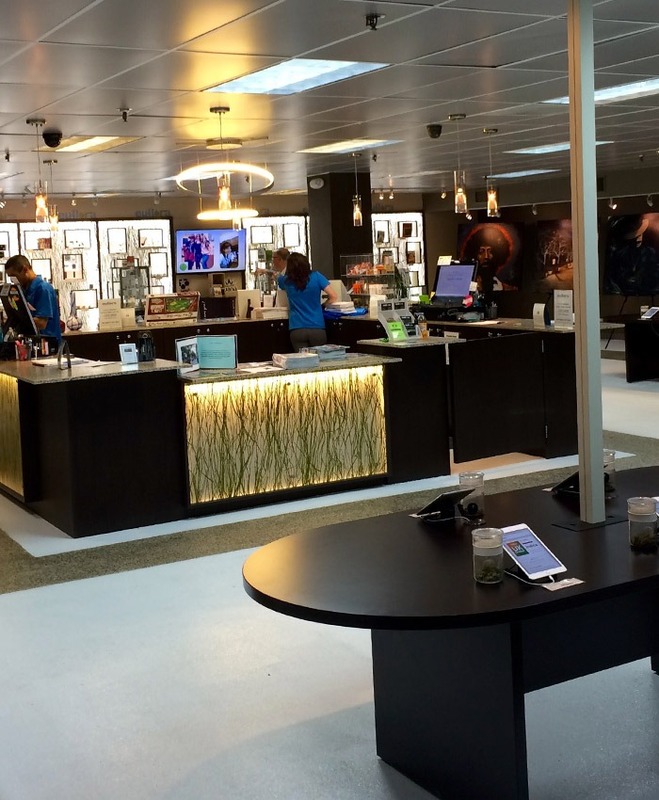 Informally dubbed “The Apple Store of Cannabis,” we offer a unique and comfortable experience, free from the confinements of a traditional dispensary. Our chic modern look combined with technology-driven layout allows our customers to browse freely. At Euflora you can see, touch and even sample the aromas of the very products you wish to purchase. It is an experience unlike any other dispensary and one which makes our customers feel immediately at home. Come experience the difference that sets us apart. 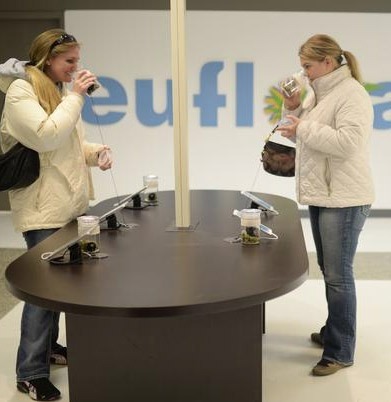 Euflora opened our first store in Denver, Colorado on April 2, 2014 and is currently the one and only dispensary located on the 16th Street Pedestrian Mall. 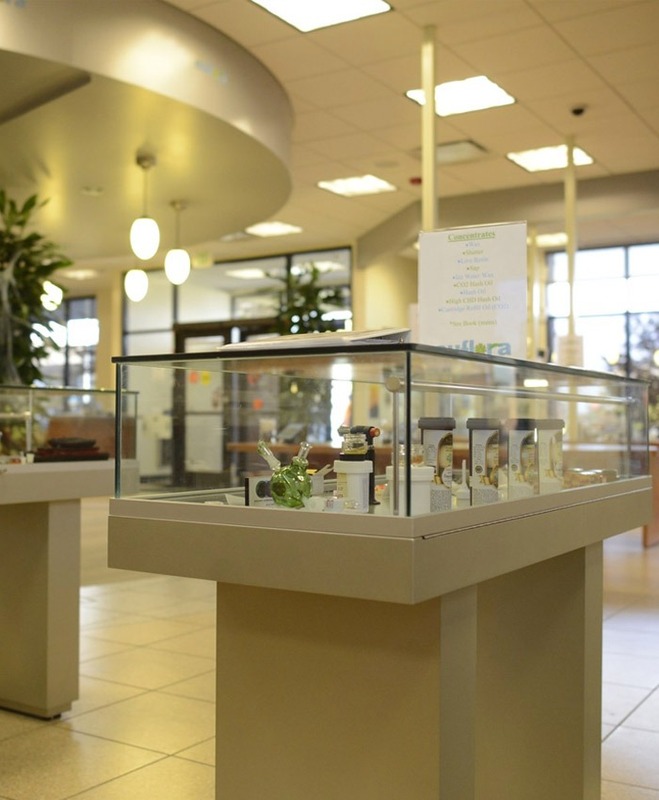 In October, 2014, Euflora was honored to be the very first Recreational Cannabis store to open in Aurora, Colorado. This dispensary (on Gunclub Rd.) is unique because it’s in an old bank building. As our owner likes to say, “banks wouldn’t lend to us, so we started buying banks”. Our 2nd Aurora store opened shortly thereafter (on Buckley Rd.). 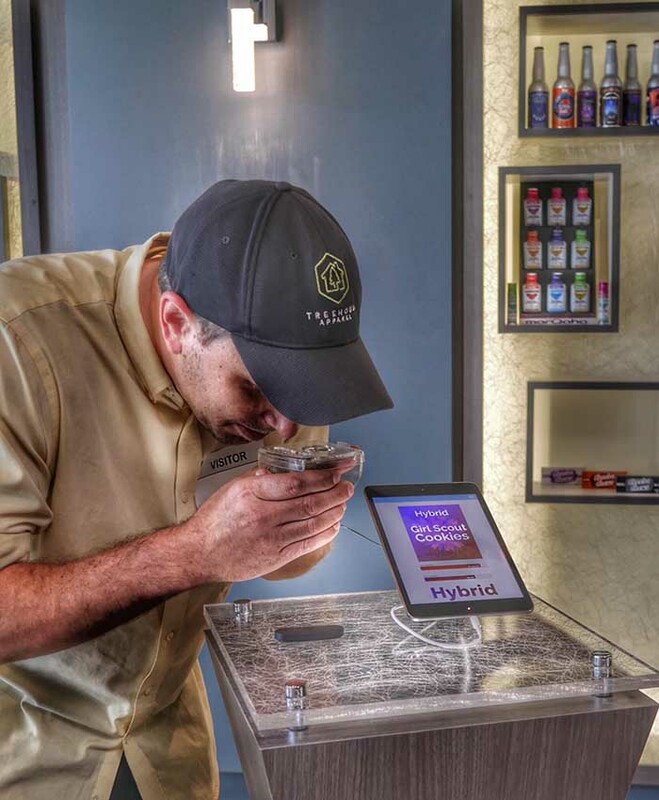 We are thrilled to have just opened our 4th Dispensary at the Historic 3D Cannabis Center in Denver, which on January 1, 2014 was the first place on Earth to sell recreational cannabis. 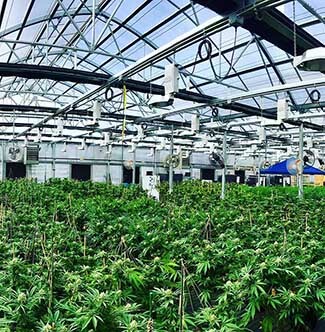 Stop by to see the largest cannabis cultivation viewing room in Colorado! The tour is free to anyone 21 and over. Euflora continues to grow and expand to serve the needs of our loyal customers. Look for more Euflora stores in Colorado and beyond as Cannabis Legalization spreads across the nation.